So many aspects of your big day plans will affect your overall cost, so it's always important to try to maximize the bang for your buck with your choices. 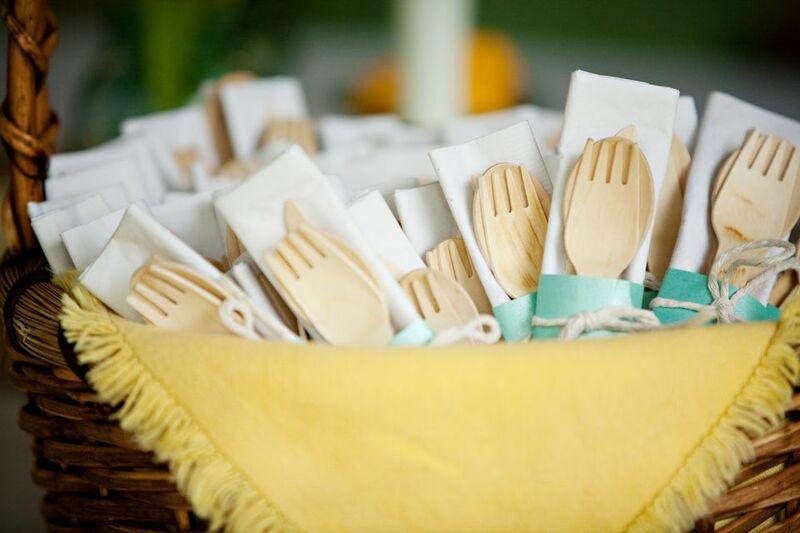 One area that is easy to get creative and be cost-saving is your wedding catering. These unique wedding catering options will not only leave your guests feeling full and satisfied, but they can also save money as well. Consider serving one of these delicious and budget-friendly options for your wedding meal. One of the least expensive foods to serve for a wedding is pasta. Basic noodles and sauces are fairly inexpensive and can be customized to suit a variety of taste palettes. Consider serving chicken with your penne or fettuccine. Chicken is a low-cost protein that you can serve in many different ways to fit your budget, whether tossed in with your pasta as a one-dish meal or served as the main course with pasta on the side. You could even offer different sauces on your buffet, like marinara, alfredo or pesto to allow your guests to customize their dish at a low cost. Barbecue is another style of food that is easy on the wallet and great for your guests' appetites. Pulled pork or chicken and tasty sides can be had very inexpensively. Barbecue tends to lend itself to more casual style wedding receptions, so this may not be for you if you're going for a more luxurious feel. Barbecue is a southern wedding staple and often includes delicious side items like loaded mashed potatoes, macaroni and cheese, or green bean casserole. You can have a Southern feast for a fraction of the cost of a meal from a traditional caterer, so consider checking with your favorite local barbecue joint for pricing. Another cost-saving wedding food option is Mexican food like tacos or fajitas. Planning a Mexican themed dinner is a great way to keep costs in check while serving your guests a generous meal. You can easily work with local restaurants to set up a taco or fajita bar, complete with all the fixings for your guests to personalize their plates. The main ingredients are all fairly inexpensive, so your guests are sure to feel full after eating chicken, beans, rice, cheese, and guacamole. Breakfast and brunch foods tend to be on the budget-friendly side of things, and they also make for great wedding fare! If you're having a brunch wedding, you can serve anything from breakfast casseroles with eggs and sausage to towering stacks of pancakes and muffins. Many breakfast dishes are even totally doable yourself if you're looking to go super low cost. It's important to include protein to leave your guests feeling full, so any sort of egg dish would be a good idea. Incorporate sweetness with pastries, donuts or muffins – you could even have a waffle bar for your guests to make their own waffles! The possibilities are endless and your guests will definitely leave feeling full and satisfied. Who doesn't love having options? Give your guests the gift of choice by hiring a few different food trucks to serve a variety of dishes at your wedding. Hiring a food truck for your wedding is all the rage these days and offer a wide assortment of cuisine to consider, such as tacos, biscuits, gourmet hot dogs, burgers, sliders, fried chicken, gyros, gourmet grilled cheese or even ice cream! Your guests are sure to be delighted by the variety of options and the interactive nature of ordering their meal from the food truck of their choice. Food trucks are a simple way to cut back on your costs while giving your guests a unique and fun experience. Unique Catering Options: Miniature Foods!